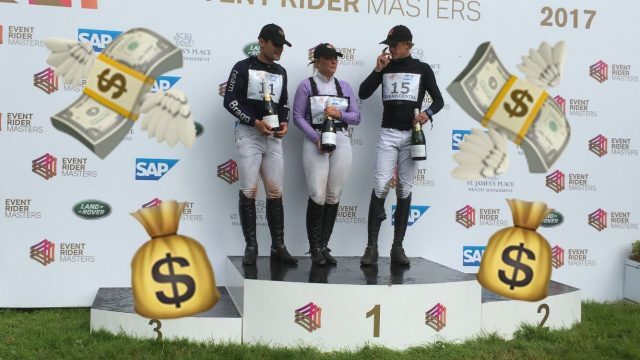 “Am I going to have to pay ludicrous taxes on my competition winnings?” — Gemma Tattersall, probably. Life advice: Just drink the champagne and pretend it’s not happening. One of the biggest hurdles that puts aspiring freelancers off making the leap into self-employment is the prospect of navigating taxes. A cursory Googling session will likely make you feel even more confused and overwhelmed, and the idea of forking out for an accountant is pretty repellant when you’re trying to be money-savvy. Look, I’m not going to lie to you and say there’s a simple trick for making the whole thing sort itself out, but I will tell you this: It doesn’t have to be an enormous undertaking, and it doesn’t have to be a minefield. If you know how the system works from the get-go, and you get into the habit of keeping, filing, and reviewing your own financial records, you can make the whole thing miles easier. You might question the sudden and contextless appearance of this fruit bat and his banana. Don’t question it. You’ll need sudden and contextless fruit bats to get through this. An important note: the following advice pertains to individuals who are going freelance — that is, setting up a sole proprietorship. If you’re planning to set up your own business as a Limited Liability Company (LLC), you should speak to a business accountant, who can help you navigate the process of both laying the groundwork and maintaining correct business practice. Repeat after me: Accounting. Is. Fun. Calculating your taxes works slightly differently depending on whether you’re in the UK or the US, so I’ll go through each situation with you. First, though: You’re going shopping for the universally necessary bits of kit. And, much as you’d never go to the tack shop and JUST buy sheath cleaner when you could throw a bag of horse treats, a new leather headcollar, and a book of gymnastic exercises in your basket to sweeten the deal, you’re going to make this an enjoyable process for yourself. 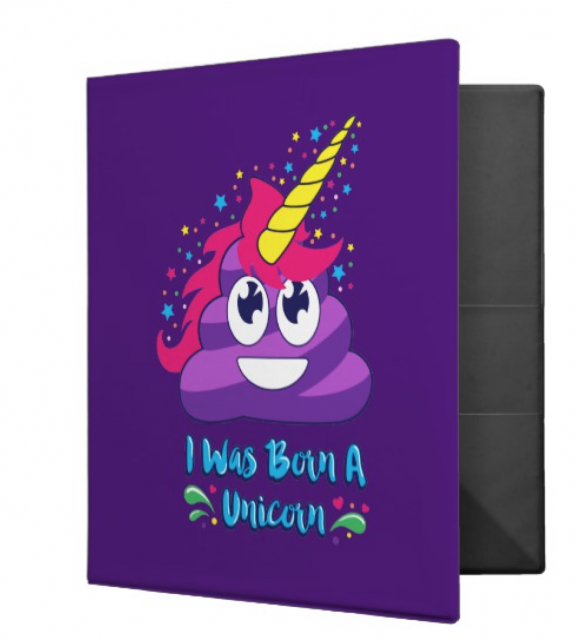 Because nothing says ‘I am an adult’ like poo emojis and unicorns. Get it here. A three-ring binder with dividers, or a couple of individual binders. These will be dedicated to housing your tax-deductible expenses and your proof of income, which is going to be in chronological order, because we’re adults now, and that’s how adults file things. Optional: a pack of plastic sleeves in which to file these important bits of paper; usually helpful if you think you may be at risk of crying on them. Included in the purchase price: the urge to highlight all information, no matter how useless. Buy these bad boys here. 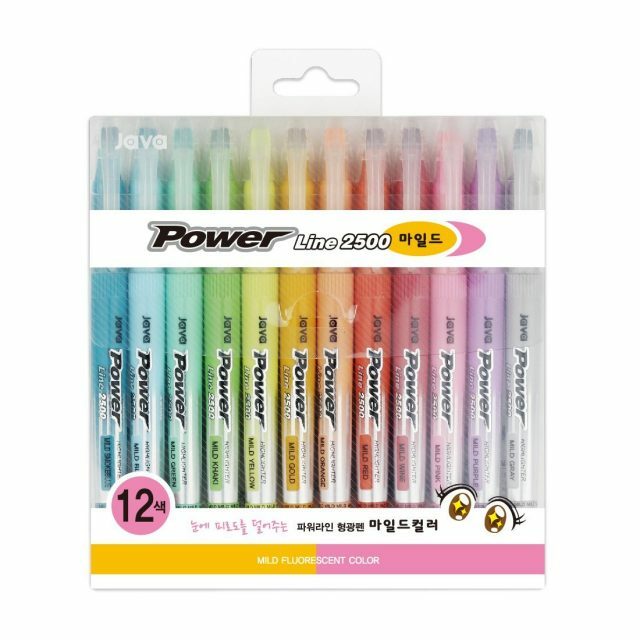 A pack of highlighters. Go on, splurge on the pastel ones, it’s fine. Harness the power of Excel for everything (except trying to pin Nelly down for a date). “If I can ride around a four-star with a broken leg, you can hit a deadline for once in your life, you complete and utter disappointment.” Motivational Michi might not treat me right, but he certainly gets the job done. Literally whatever useless trinkets you find in the shop that offer you any fleeting happiness. There’s no proof that my collection of scented candles that smell vaguely like attractive men help my productivity levels in any way, but there’s also no proof that they don’t, so my attitude to preparing my desk for accounting day is a very #treatyoself one. May I recommend a special work mug? Or the vaguely terrifying spectre of Michael Jung? When you’re self-employed, you don’t actually pay tax on the entirety of your income: instead, you pay tax on your profits. This means that you have to deduct your business expenses from the amount you’ve earned in order to work out what you owe. You’re going to do that by keeping proof — ie., receipts or invoices — of all of these expenses, filling them chronologically in your Expenses binder, and highlighting on each the date (in one colour, consistent throughout) and the amount (in another colour, again, keeping it consistent.) Make sure the amount you highlight is the amount including sales tax or VAT. Breakfast in bed: not tax-deductible. Sorry. Utility bills and office rental costs. If you rent a dedicated office space or desk-share, this is easy: just keep track of your monthly rent and any utility bills you pay. If, however, you work from home, it becomes a bit more of a calculator job. You’ll have to work out what percentage of your rent and bills should be dedicated to your working hours. For example, if you have a house with four rooms — kitchen, bathroom, bedroom, and living area — and you work at a desk set up in the living area, you’ll need to calculate how much of your outgoings go towards sustaining that working area. Let’s say that your rent and utility bills come to $400 a month, for the sake of easy math and maintaining unrealistic fantasies about adulthood. If your living area/office space takes up about a quarter of the square-footage of your house, you can pretty safely assume that it’s worth a quarter of your monthly outgoings or, in this case, $100. Now, because your desk is set up in a living area, you probably don’t use that room solely for working. Say you spend 50% of your time in this room working, and 50% of your time hanging out, watching TV, or entertaining friends — your deductible outgoings will be $50. Easy enough, right? Well, okay, maybe not — in the US, your home office has to be a separate room, and not one that’s used for personal activities. At a push, you can partition off the ‘office’ section of the room, which is usually sufficient. If you’re really stumped, keep a log of the time spent at your desk in the first month to work out how much time — and thus, rent and electricity — you’re devoting to desk-bound activities. Insurance payments can often be claimed as business expenses. Health insurance — particularly in the US, where it’s a necessary expense — and any professional liability insurance can all be added into your expenses. Likewise, your memberships with any governing bodies — for example, the British Grooms Association or USEA — that are essential to performing your job and effectively advertising can all be expensed. Courses. If you sign up for a course that supplements your work — for example, a BHS training course if you’re a riding instructor, or a photography class if you make your money behind a camera, these costs can be deducted. No such luck if you’re taking a night class in underwater basket-weaving, though, sorry. Advertising costs, including websites. It’s a good idea to set yourself up with an online presence — more on this next time — and an absolute necessity to get yourself set up with some business cards. You may opt to purchase banner advertising on a website or take out a space in a horse magazine, too. Keep track of all these costs, as they’re all deductible. Incidentals. These might be the little things — printer ink cartridges, a pair of winter work gloves — or they might be bigger investments, like high-end cameras or even a trailer or horse box, if equine transportation falls within the remit of your services. Basically, any time you make a purchase, ask yourself: Will I use this primarily for work? If so, then log that bad boy. By now, you’re handy with a highlighter and a filing system, which is great, because you’re going to do much the same with your payment receipts. You should have an invoice template that you tweak for each client or job, and every time you send an invoice, print a copy for yourself and put it in the folder. Then, when the client pays, write this on the invoice and log the date of payment, too. Each month, print out a copy of your bank statement and highlight these incoming payments, making notes as needed of which payment is which. Don’t be tempted to try to minimise your earnings or seek out loopholes, like not logging payments made in cash — it’s easy to get caught out and the hassle and penalty payments that come with it just aren’t worth it. I’d love to tell you that this step should be done once a week, with a glass of wine and all the accompanying zen of a real-life grown-up who has perfected the art of adulting, but a) ain’t nobody got time for that and b) you should never trust anyone who has any sort of accompanying zen, in case it has been acquired illegally. What you’re going to do, AT LEAST ONCE A MONTH (and I mean this — do not skip this step if you want to avoid an Annual Sadness), is calculate your overall earnings and your overall business expenses for that month and make note of them. Then, you’re going to pop all those expenses and paid invoices into your handy, colour-coded, magical self-calculating Excel spreadsheets for the current tax year, so that when a kindly accountant/terrifying IRS man/your concerned mum asks whether you’ve balanced your books, you can hit them with those and feel endlessly smug. Eventing Nation recommends always wearing an approved riding helmet while celebrating your accounting success aboard your unicorn. Make sure you know exactly when the tax year begins and ends and what the various deadlines are for filing and paying your taxes. The tax year. This is the 12-month period for which you’ll be totting up your taxes. In the US, this is pretty straightforward and tends to follow the calendar year (that is, January 1 – December 31). In the UK, we like to make our decisions by throwing darts at the calendar, so the tax year began on the 6th of April and will end on the 5th of April, 2018. Due dates: online returns. If you’re filing your tax return online, you’ll need to do it by January 31st following the conclusion of the tax year if you’re in the UK. If you’re in the States, you’ll need to file Schedule SE/Form 1040 (your income tax return and self-employment tax), and Schedule C (profit or loss from business) by April 15th following the end of the tax year. This date is the same, regardless of whether you file electronically or by mail. Due dates: paper returns. If you like to kick it old-school and file paper returns, which you presumably send in by carrier pigeon or Pony Express, the deadline is October 31st following the conclusion of the tax year if you’re in the UK. Quarterly payments. If you’re in the US and paying tax in quarterly instalments — that is, using Form 1040-ES rather than 1040, your payment dates are April 15, June 15, September 15, and the following January 15. Biannual payments. If you’re in the UK, you’ll make two tax payments: one on the 31st of January in the relevant tax year, and one by the 31st of July following the conclusion of the tax year for which the payment is owed. There are two primary taxes you need to focus on: self-employment tax, which covers your Social Security and Medicare taxes, and income tax. If your annual profits are more than $400, you’ll need to file a return. If your annual turnover is less than $400, I suggest revisiting your business plan and perhaps rethinking your rates. You’ll pay tax on your net profit, which you’ll work out by subtracting your business expenses from your income. So if you earned $20,000 over the course of the tax year, but you claimed $50 a month in home office deductions, spent $1,000 on a new camera lens for your photography business, and chalked up $150 a month for six months of show-circuit travel and hotels, your total expenses will be $2,500 and your net profit will be $17,500. Your self-employment tax is set at a rate of 15.3%, and can be calculated exactly by using Schedule SE. If you were an employee, this would be paid in part from your own wages, and in part by a contribution from your employer, so to bridge that gap, you won’t pay self-employment tax on 100% of your net profit, but rather, 92.35% of it, or, in the case of the example, $16,161.25. This would make your self-employment tax for the year $2,473, but you can claim half of that, or $1,236, as a tax-free deduction when you complete your tax return. I know, I know. You’ll have to complete both Form 1040-ES, which estimates your income and thus your tax, and sets you up on a quarterly payment plan, and Form 1040, which is completed at the end of the tax year and deals in exact numbers (and helps you work out if you’re entitled to a refund, which is always nice.) You’ll also have to complete Schedule C, which details your loss and profits — an easy form if you’ve been meticulous in your record-keeping through the year. Whether you have to register as self-employed or not depends on your state’s regulations, so it’s definitely worth seeking professional advice to make sure you avoid any penalty charges. Hey, the great news is, you don’t have to pay tax on your Olympic medals and any payouts you get from the US Olympic Committee, so if you’re reading this, P.Dutty, please feel a bit smug about that for a moment. First of all, you’ll need to register as self-employed with HM Revenue and Customs. You’ll need to pay income tax and National Insurance Class 2 and 4 contributions. Your income tax is subject to a personal allowance, much the same as if you’re in ordinary employment, so for this tax year, you won’t be taxed for the first £11,500 of your earnings. After that, you’ll ordinarily pay basic rate tax at 20%. Once you’re earning over £6,025 in profits a year, you’ll start paying Class 2 NI contributions, and once you reach £8,164 in profits, you’ll add Class 4 contributions to that. Class 2 contributions are set at a flat rate of £2.85 a week, and Class 4 contributions are set at 9% of your profits. So, say you earn £20,000 in the 2017-2018 tax year. First, take out your personal allowance of £11,500: your taxable income is now £8,500. Your income tax is based on profits, not intake, however, so before you work out that 20%, subtract your deductible expenses. Let’s say you claim £50 per month for your home office, £50 per month for transportation and travel costs, and £500 through the year in other deductible expenses. That works out to £1,700 that you can subtract from your taxable income, leaving you with £6,800 in taxable profits. 20% of £6,800 is £1,360: your income tax for the year. Your Class 4 National Insurance contributions are only payable on profits over £8,164, so subtract your deductibles – £1,700 – from your income – £20,000 – to get your total profits: £18,300. Then, subtract £8,164 from that – the amount you’ll make Class 4 payments on is £10,136. At 9%, your annual Class 4 contribution will be £912.24, which can be paid by direct debit and spread throughout the year. 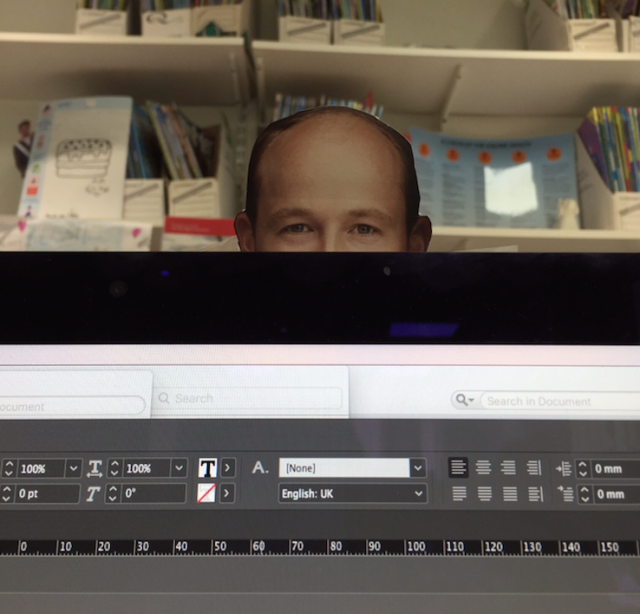 Your Class 2 contributions are a set rate, so you know they’ll be £148.20 for the year. This means your total tax and NI contribution for the year will be £2,420.44, so you should aim to put about £202 in a dedicated savings account each month. The rates you have to pay, and the personal allowance you’re entitled to, changes once you start earning more, so if you’re making £45,001 per year or more, your income tax will jump to 40%. At £150,000, it maxes out at 45%. Once you hit £45,000, your Class 4 contributions drop to 2% of your profits. If you earn over £85,000, you’ll also need to talk to an accountant about registering for VAT, but by that point, I expect you won’t be reading my tax advice anyway, so you do you, boo. Adulthood: Just a string of worrying moments that make you wonder when, exactly, you turned into Bridget Jones. Pour yourself a drink, duckling, because you’ve made it this far, and that is an admirable feat. You should now have a basic idea of how the tax system works, but I recommend sitting down with an accountant to make sure you’ve ticked all the right boxes when filing your first return, especially if you have a working spouse or any dependants, claim any benefits, or have any other mitigating circumstances that may affect what you owe and what you can claim. This guide isn’t intended to be exhaustive, just introductory — the bottom line is that filing taxes needn’t be so difficult that you decide not to make the leap into freelancing because of it. You’ve got this.